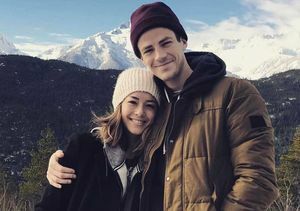 “The Flash” star Grant Gustin, 28, and physical therapist LA Thoma, 30, are married! Over the weekend, the couple tied the knot at Valentine DTLA in front of their close friends and family, including Melissa Benoist, R.J. Brown, Max Chucker, Daveed Diggs, Adam Kaplan, Jared Loftin, Ben Ross, Leela Rothenberg, Taylor Trensch and Chris Wood. The wedding comes a year after he denied that they wed in a secret ceremony in Malaysia. At the time, he wrote on Instagram, “It was incorrectly reported, without our permission, that LA and I had a private wedding while we were here, but that's not quite the truth. While we did have a beautiful, symbolic Kadazan ceremony to honor LA's ancestors, we still won't tie the knot until next year." 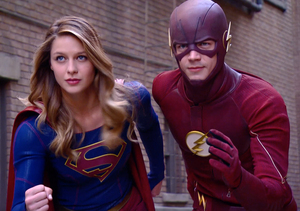 Is Grant Gustin Secretly Married? 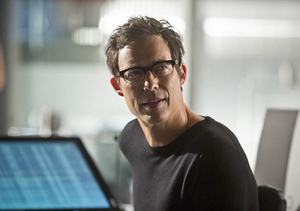 Gustin popped the question to Thomas in April of last year. 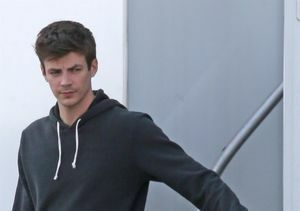 Grant Gustin Proposed to LA Thoma — Check Out the Ring!